The 2019 Subaru Crosstrek Hybrid, Subaru's first-ever plug-in hybrid vehicle, features the new Subaru StarDrive Technology that integrates electric motors, a 2.0-liter direct-injection SUBARU BOXER® engine, Subaru Symmetrical All-Wheel Drive, and a new Lineartronic CVT (Continuously Variable Transmission). The Crosstrek Hybrid is capable of speeds up to 65 mph when in full electric mode and is a full second faster from 0 to 60 mph than the standard Crosstrek. The new powertrain boasts up to 90 MPGe with a total range of 480 miles. 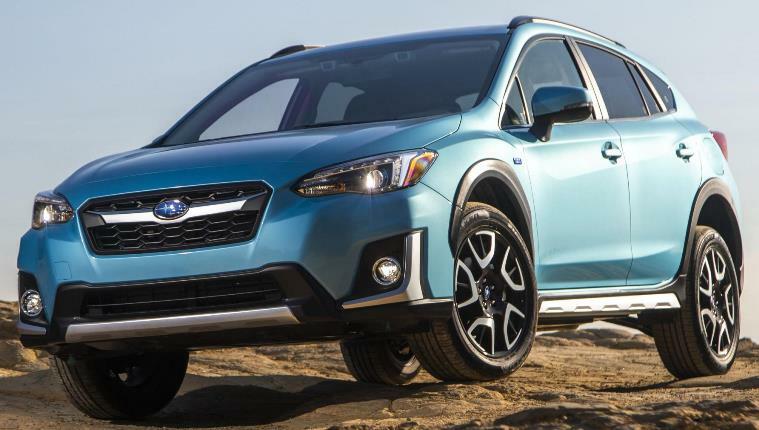 The Crosstrek Hybrid has 8.7-inches of ground clearance and 1,000 lb. towing capacity. The standard SI-DRIVE allows the driver to tailor the vehicle’s throttle characteristics by choosing between “Intelligent” and “Sport” modes. The Crosstrek is priced at $35,970 (including $975 for destination and delivery). The 2019 Subaru Crosstrek Hybrid arrives near the end of this year.